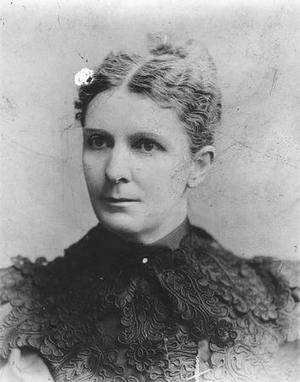 During the late 1870s to the end of her career, it is said that Dr. Ellis Shipp was the best doctor to set broken bones. Where did she attribute this skill? So she dressed, and together they walked the block to Bessie’s house where Maggie found the woman sick, indeed, in the final stage of labor and not having an easy time of it. After scrubbing up and upon examination, Maggie found that the baby was in the wrong position for a normal delivery. And since there was clearly a greater need at hand than her own, she went to work, stopping only when she was compelled to do so because of her own accelerating contractions. Pans and pads were sterilized, and bed was reinforced with table leaves for better support, and clean sheets, pillowcases, and pads soon replaced the rumpled ones that were on the bed. Maggie succeeded in turning the baby, and Bessie was delivered of a beautiful baby girl. After Maggie had the infant dressed and Bessie clean and comfortable, a relative who had been sent for took over. Only then did Maggie go home where, almost immediately upon the doctor’s arrival, she gave birth to her own baby daughter. Lesson Committee, Museum Memories-Daughters of Utah Pioneers, (Salt Lake City, Talon Printing, 2010), 2: 14-15.